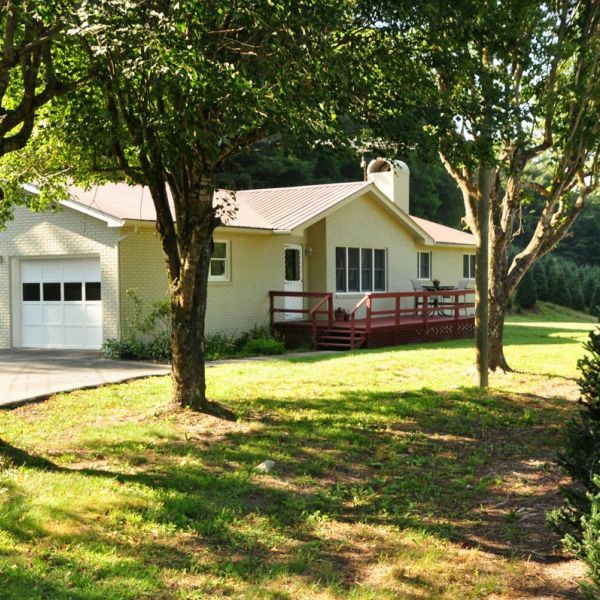 Continential Divide Cottages | Linville Vacation Rentals | Looking for a memorable western NC mountain getaway? Choose one of our Blue Ridge Mountain NC cottage rentals. 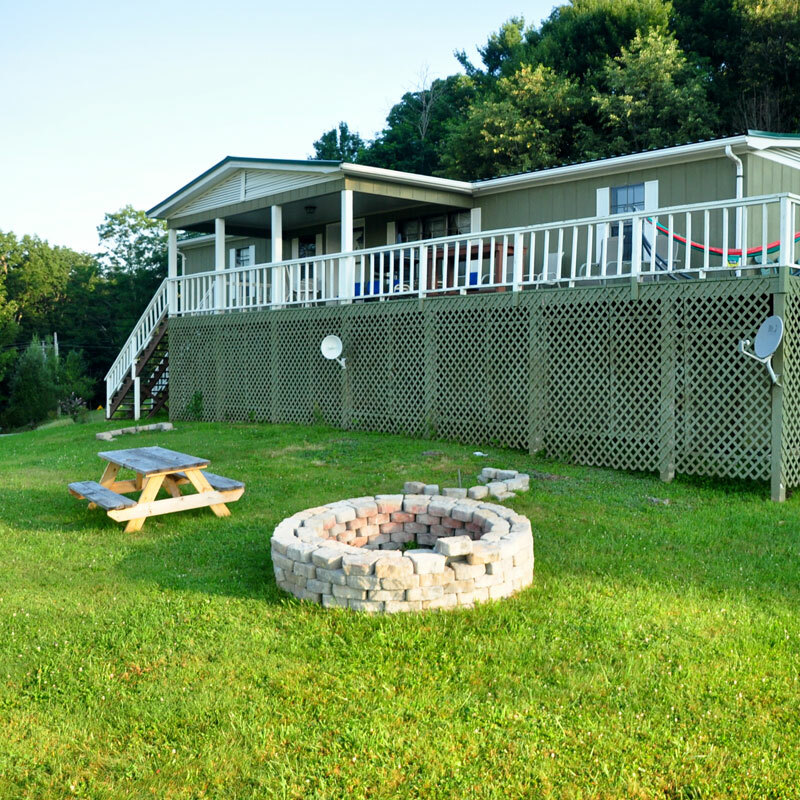 Escape, relax, enjoy with our Linville rentals. Our Rabbit Hill Cottage is the larger of our two fully appointed cottages, with facilities to sleep up to 8 people. 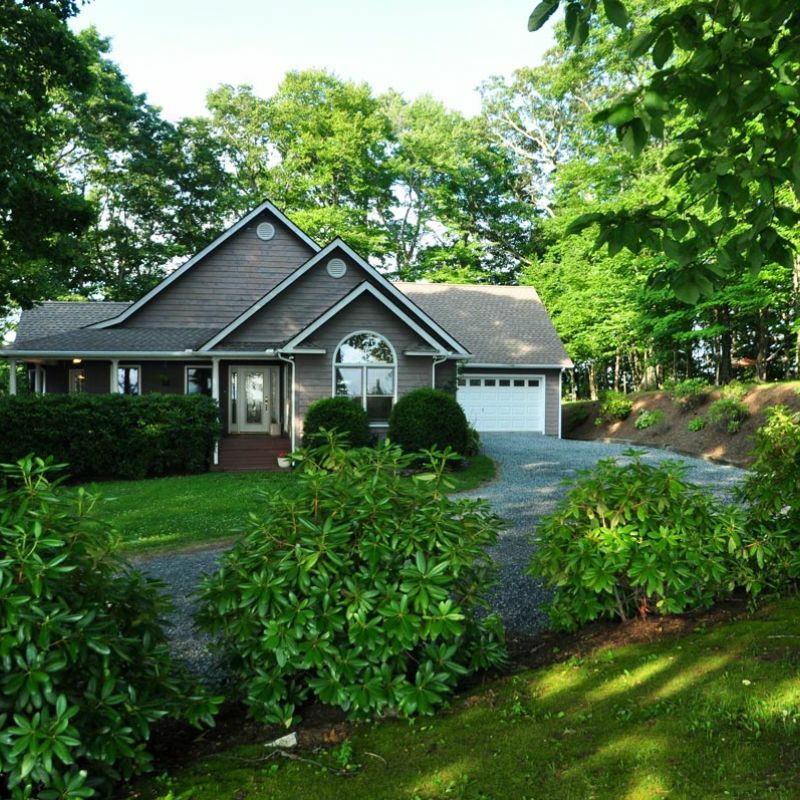 Rabbit Hill is a three bedroom cottage with two full baths. This includes a master suite with king bed, a second bedroom with queen bed, and the third bedroom with two twin beds. Including the pull-out sofa in the living room, our cottage is ideal for a family or friends weekend or week long getaway. The perfect getaway for a couple or the avid golfer. Pollygus house is perfect for a couple, or for a group of avid golfers. The Jones House is one of the smaller of our fully appointed cottages with facilities to sleep up to 6 people comfortably. Pollygus House is a 3-bedroom, 2-bathroom cottage. This includes two bedrooms with two twin beds each, and one bedroom with a queen bed. Ideal for couples and families who want to spend less on accommodations and more on activities in the region. The cottage includes a fully functional, well-appointed kitchen, living room and dining area, and fire pit for the night’s you prefer to stay home and relax. It also includes WIFI (wireless internet), Washer/Dryer, Hair Dryer and Cable TV. Do you have a Church Group, a Boy Scout Troop, a Family Reunion or other large party that wants to enjoy the beauty of the Appalachian Mountains? Do you need a place to sleep 10 or more people, and cook meals in a communal way? Our Spanish Oak Bunkhouse may be exactly what you need! The Spanish Oak Bunkhouse provides sleeping for up to 24 people, two (2) fully equipped kitchens, three (3) full bathrooms (showers/tubs), internet access, television room, a wood burning fireplace and a wood burning stove (wood provided), a very large yard for outdoor games and activities and gorgeous wrap around deck for everyone to gather while grilling outdoors. Jones House at Mountain Glen is perfect for a couple, or for a group of avid golfers. The Jones House is one of the smaller of our fully appointed cottages with facilities to sleep up to 6 people comfortably. Jones House is a 3 bedroom, 2 bath cottage. This includes two bedrooms with two twin beds each, and one bedroom with a queen bed. Ideal for couples and families who want to spend less on accommodations and more on activities in the region. The cottage includes a fully functional, well-appointed kitchen, living room and dining area, and fire pit for the night’s you prefer to stay home and relax. It also includes WIFI (wireless internet), Washer/Dryer, 1 Pull-Out Sofa, Hair Dryer and Cable TV. A smaller fully appointed cottage with facilities to sleep up to 5 people comfortably. The Mountain Glen Caddy Shack is perfect for couple, or for a group of avid golfers. The Caddy Shack is the smaller of our two fully appointed cottages with facilities to sleep up to 5 people comfortably. The Caddy Shack is a 3 bedroom, 1 bath cottage. This includes a two bedrooms with queen beds, and one bedroom with a double bed. Ideal for couples and families who want to spend less on accommodations and more on activities in the region. The cottage includes a fully functional, well-appointed kitchen, living room and dining area, and fire pit for the night’s you prefer to stay home and relax. It also includes WIFI (wireless internet), Washer/Dryer, 1 Pull-Out Sofa, Hair Dryer and Cable TV. If you’re looking for a memorable western NC mountain getaway, we’re sure that you’ll find what fits your needs when you choose to stay at one of our Blue Ridge Mountain NC cottage rentals. 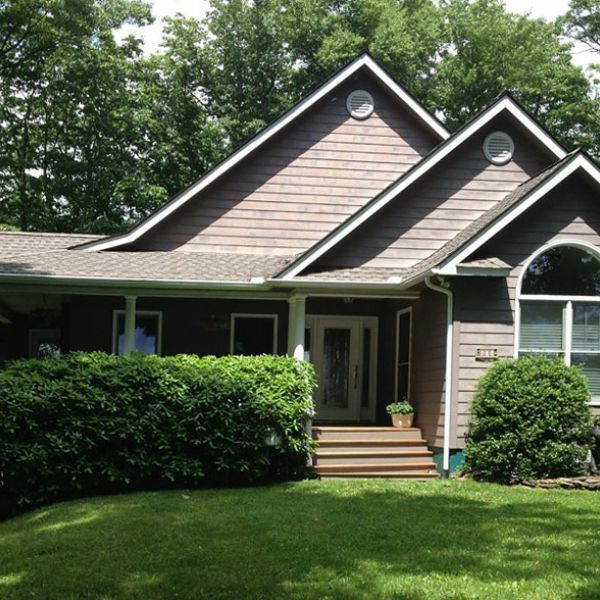 We offer cottages near Banner Elk as well as many other major attractions. We have something to fit every taste and occasion. Whether you’re looking for that perfect spot for a family reunion, honeymoon or business retreat, we’re confident you’ll love the choices we have for you. All of our cottages are conveniently located in the heart of the Blue Ridge Mountains, on the Eastern Continental Divide, near the South’s highest summits – Sugar Mountain Resort, Beech Mountain Resort and Appalachian Ski Mountain. Fully furnished and well-appointed, all of our Continental Divide Cottages have expansive views, gas grills, easy walking trails and all the comforts of home. Our properties are even dog friendly! We love out pets and want you to feel comfortable vacationing with yours. There is a small pet fee to cover the extra cleaning time that we put in each time a 4-legged friend stays with us. The Continental Divide Cottages are owned by the Cartner Family. 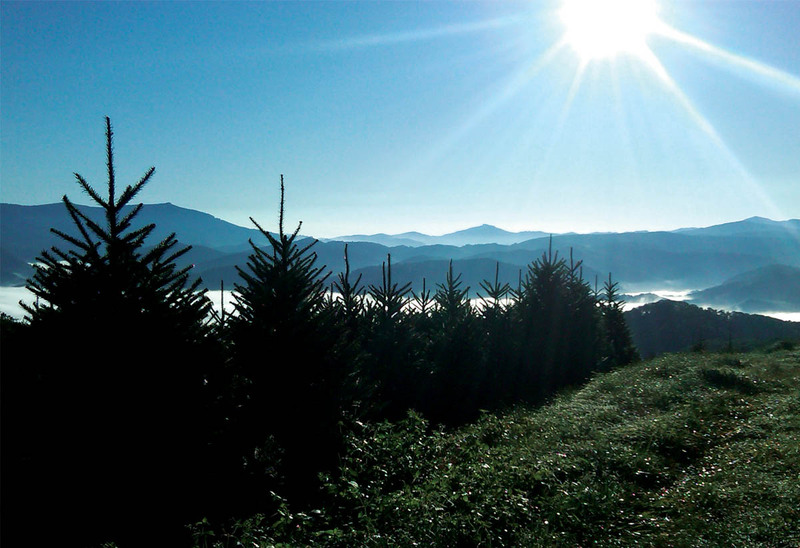 The Cartner family began with a deep investment of time and work in the Appalachian Mountains with the Cartner Christmas Tree Farm. 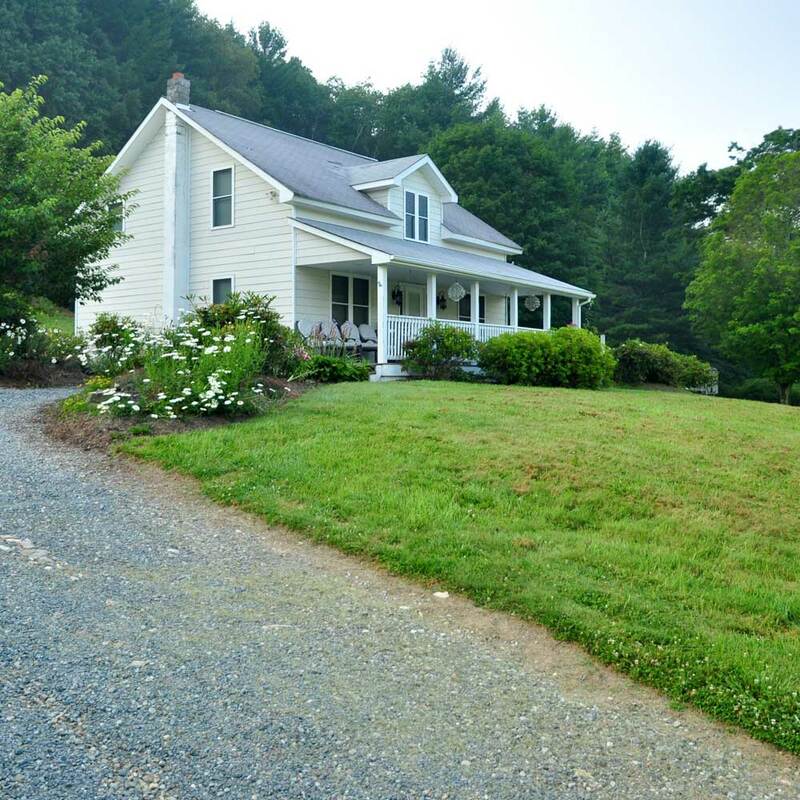 The farm is family owned and operated in the Blue Ridge Mountains of North Carolina. The family has been growing high-quality Fraser fir Christmas trees since 1959. No matter what time of year you’re interested in visiting, you’re sure to find something fun to do. Swing those new clubs at a mountain golf course, go fishing for some of our local trout, take the family skiing, or even pick out a Christmas tree at the Cartner Christmas Tree Farm, or enjoy all that the Linville Land Harbor Recreational Complex has to offer. Activities flourish year-round including hiking, biking, rafting, tubing, horseback riding, antiquing, fine art festivals, art galleries, gem mining and more. Enjoy the skiing at one of two mountain resorts – Beech Mountain and Sugar Mountain – in the high country of the quaint mountain town of Banner Elk. At the end of the day, enjoy a hot toddy in one of our NC cabin rentals. Hike Grandfather Mountain, The Appalachian Trail, see epic views of Linville Gorge Falls, and take in Elk River Falls. The Linville Falls Trail is about two miles and it’s easily one of North Carolina's best waterfall hikes. 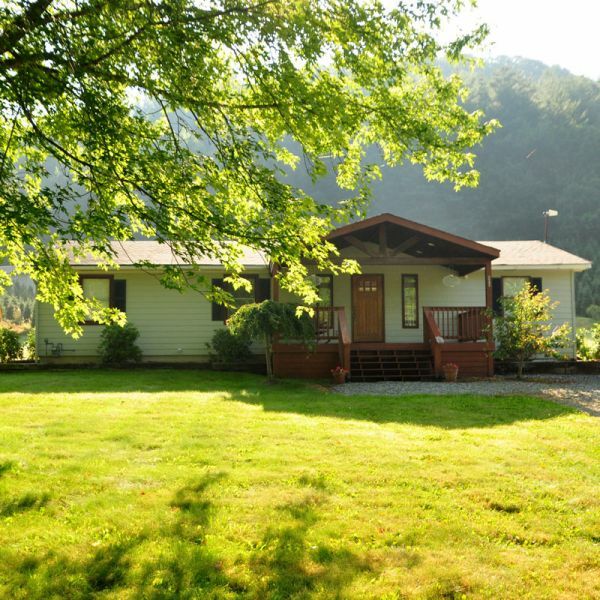 Our Linville rentals are just a few miles away. Hike along the Blue Ridge Parkway. There are miles and miles to discover with breathtaking mountain vistas at just about every turn. Or just take a drive. It’s one of America’s favorite driving experiences. Explore the Pisgah National Forest. Our Pisgah cabins serve as the ideal home base. The Pisgah National Forest is a land of mile-high peaks. It’s made up of more than 500,000 acres and is primarily a hardwood forest with whitewater rivers, waterfalls and hundreds of miles of trails. Experience Linville Caverns. It’s a hidden wonder. See amazing stalactite and stalagmite formations, an underground stream with native trout and stand over the bottomless pool. It’s fun for all ages. Hit the trails on your mountain bike. The Linville Gorge Area offers some of the most strenuous mountain biking anywhere in the east, with a variety of routes ranging from 8.2 miles to 49 miles and some incredible scenery along the way. Wade in the water. Fly fishing is a great way to explore the back country. You’ll find an abundance of rainbow, brook and brown trout in the many nearby rivers and creeks. Take in some top-notch summer theatre. The Appalachian Summer Theater, Woolly Worm Festival, and Grandfather Highland Games brings together top dance, theatre, film and visual art performers. The festival has grown from a regional event to one of national recognition. Listen to big city music in the high country. Music festivals abound. The FORUM at Lees-Mcrae College is just one place that visitors can enjoy world-class performances. Watch a fall football game at Appalachian State University in Boone, NC. The crisp mountain air in the high country just adds to the ambiance when you cheer on the Appalachian State Mountaineers. Check out the Highland Games at Grandfather Mountain. This gathering of the Scottish clans includes dance competitions, piping and drumming, sheep herding, music in the groves, a Parade of Tartans and much more. We have some of the best cabin rentals near Grandfather Mountain. Attend the world famous Wooly Worm Festival in beautiful downtown Banner Elk. There are worm races, crafts, foods and rides. The High Country has hosted this fun event for more than 40 years. It takes place in the fall and is a great way to kick off the holiday season. Go antiquing in Blowing Rock and bring your treasured finds back to your cozy cabin rental in the North Carolina Blue Ridge Mountains. After you’ve worked up an appetite, explore any one of the numerous casual eateries and fine dining restaurants in the Banner Elk area. The Linville Gorge Falls area has many charming places to dine or you can always visit one of our local markets and cook up a delicious meal in one of our Linville Falls cabin rentals. So, as you can see the options are really limitless. No matter what you choose to do, we hope you’ll decide to make your home base with us. We just know that you’ll love what our Continental Divide Cottages have to offer. We look forward to helping you create some wonderful mountain memories.